I hadn’t been at his establishment an hour before he had me in a pair of thick rubber waders in a canoe out on the river. Me: “None of this equipment likes water”. Him: “No standing in the canoe”. 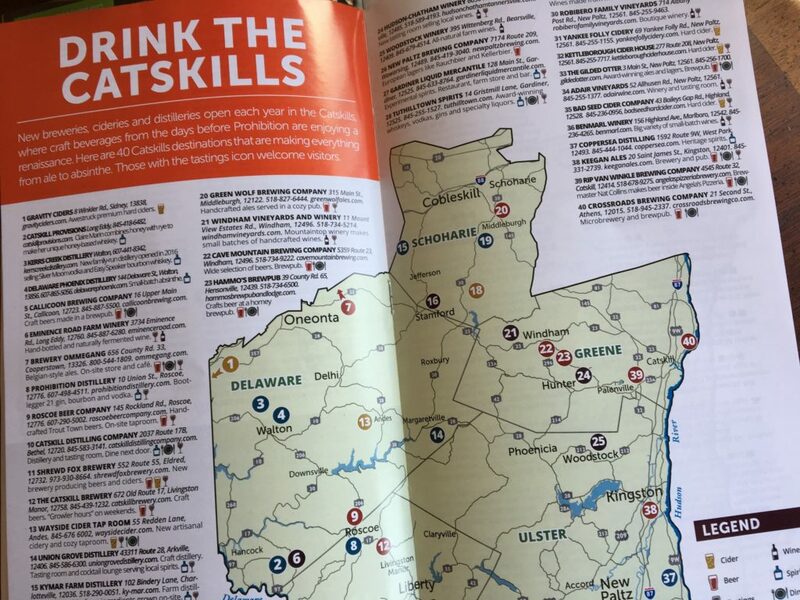 Pick up a copy of the Catskills Food Guide at any establishment in the Catskills. The guide includes a large pull-out, color map of the region detailing the places where you can eat, drink and shop locally. 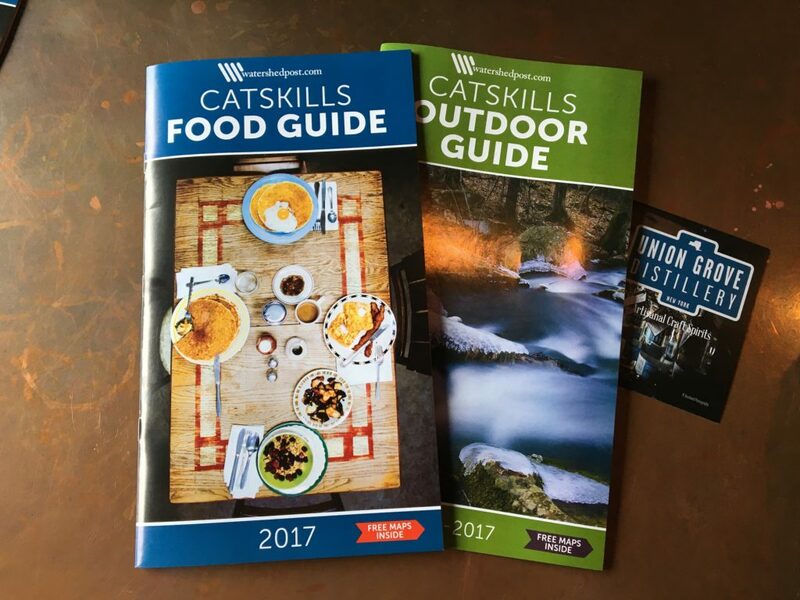 This entry was posted in Visit Catskills and tagged Catskills, Catskills Photography, Country Living, Food Blogger, Food Blogger in the Catskills, Food Writer, I love NY, Mountain Life, Upstate NY, Writer, Writing on April 13, 2017 by JNUrbanski. 55F by mid-afternoon, chilly and overcast. 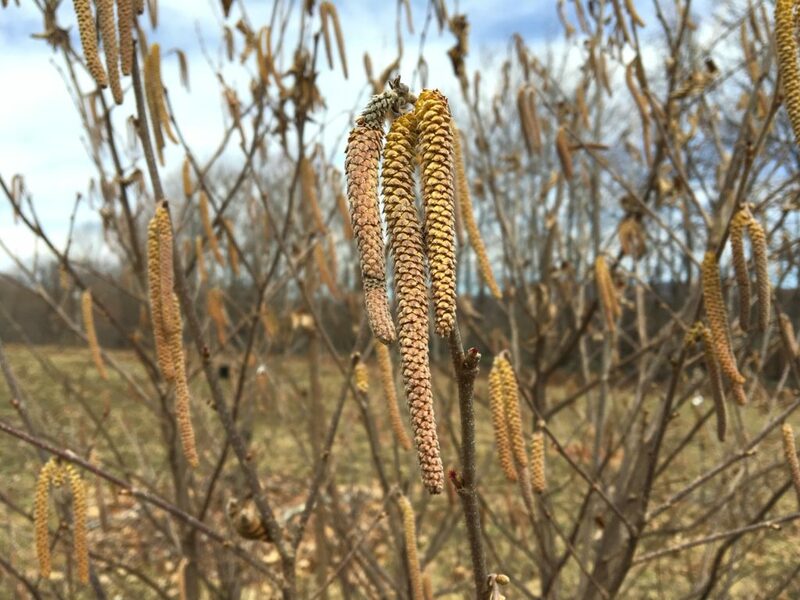 Hazelnut catkins swaying in the breeze. This entry was posted in Daily Catskills and tagged Catskill Mountains, Catskills, Catskills Photography, Country Living, I love NY, Mountain Life, Upstate NY on April 13, 2017 by JNUrbanski.